Well its been a great week of wreaths and here is my final one. 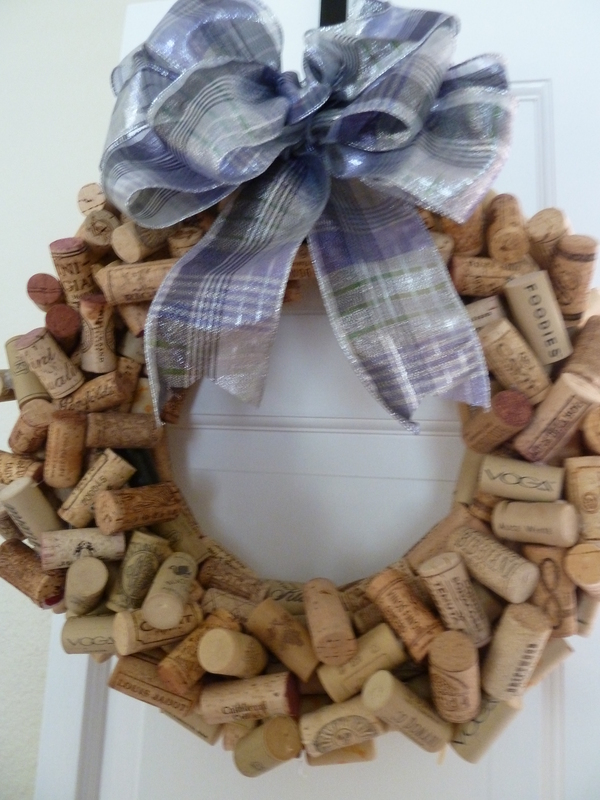 I chose a cork wreath for the last day because I have been saving corks for 10 years and now have a reason to use them! Now I didn’t personally drink all this wine but family and friends have also donated to my stash. 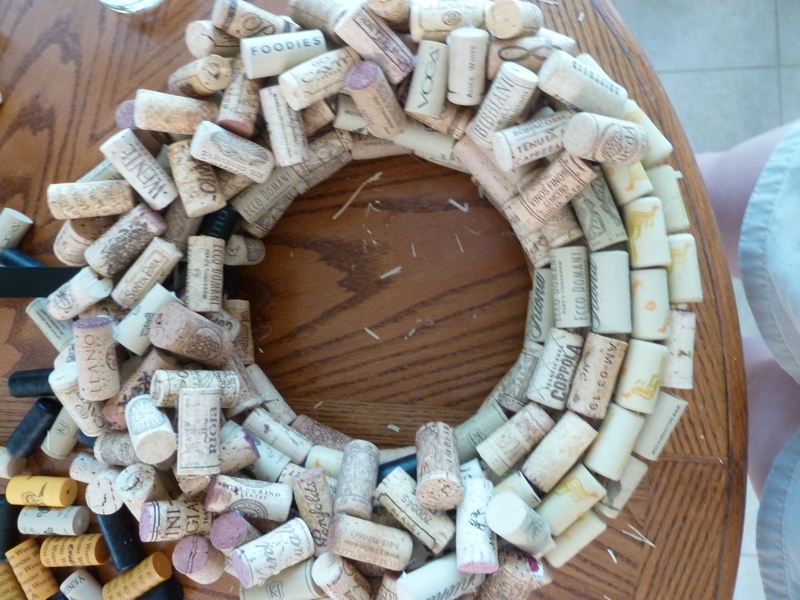 Here is my tutorial for a cork wreath. I used a ordinary wreath hanger and inserted this onto the wreath before I started glueing corks. This wreath does get fairly heavy so I think this is the best way to hang the wreath. 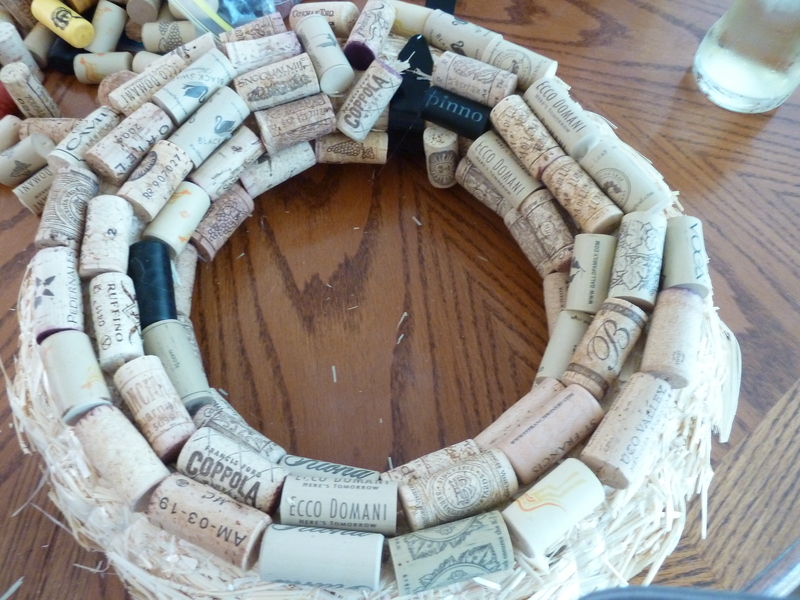 Start glueing by adding a strip of glue to the back of each of your corks and go around in a circular pattern creating a base. Once this has dried and you make sure none are going to fall off then you are ready to start glueing on the next layer in a hodge podge fashion. 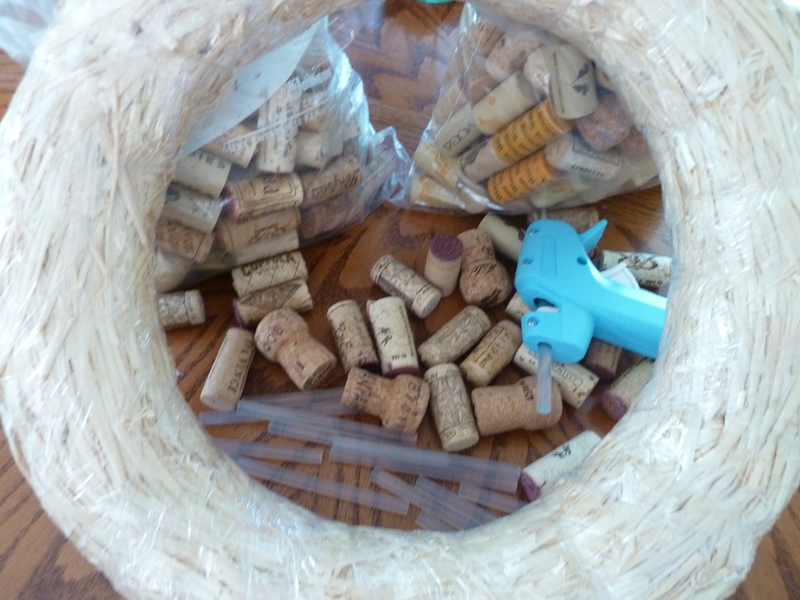 Note: I did have a bit of trouble with the smooth corks from Yellowtail.They don’t take the hot glue well so I used a little gorilla glue and it worked fine. There is no real method for this just glue to create a 3D look. You will need to test where you want the piece to go and then glue in the appropriate place. This layer will not need glue across the whole cork. Make sure you pieces are glued on well and add a bow if you like. 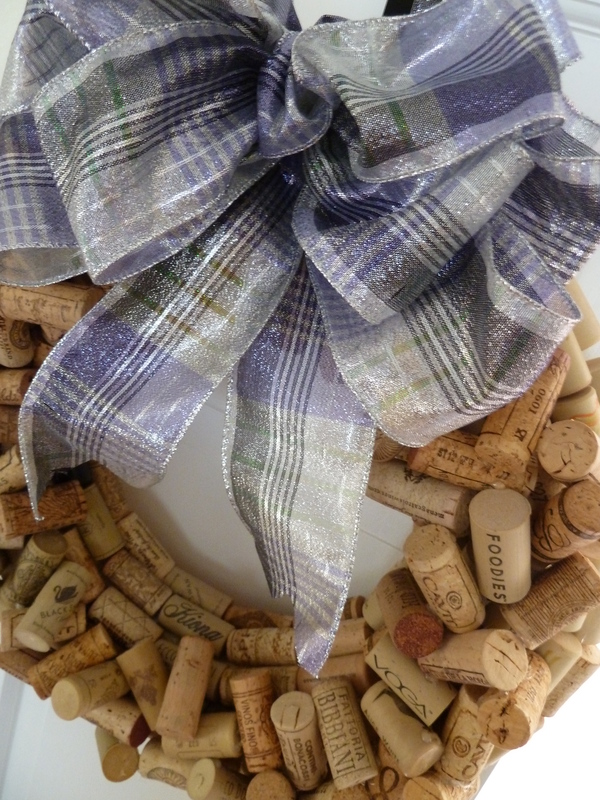 I really like the natural cork wreath. I leave mine up year round and just change out the bow (made from my ribbon stash) for the seasons. Well I have enjoyed wreath week and I hope you have too. Please leave a comment and if you have a wreath you would like me to feature just contact me. 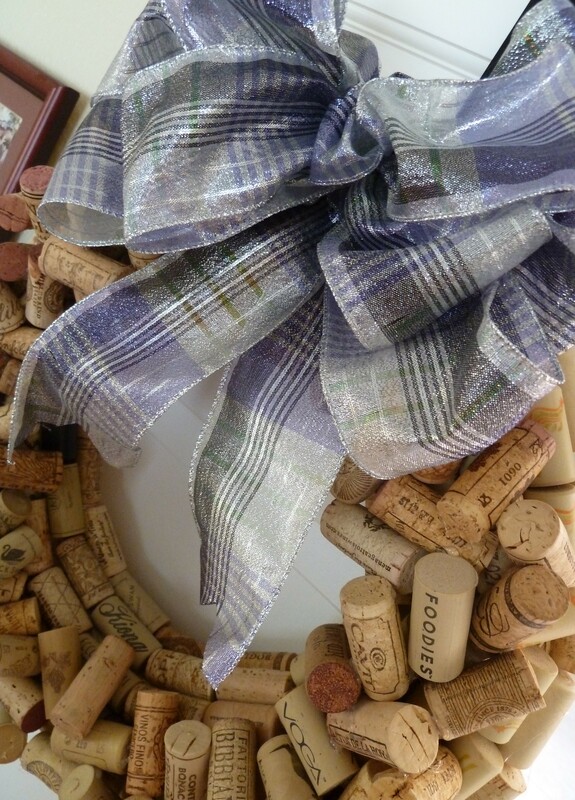 Posted in Tutorials, Wreath Week and tagged cork wreath, seasonal wreath, wine cork wreath. Bookmark the permalink. Love it! 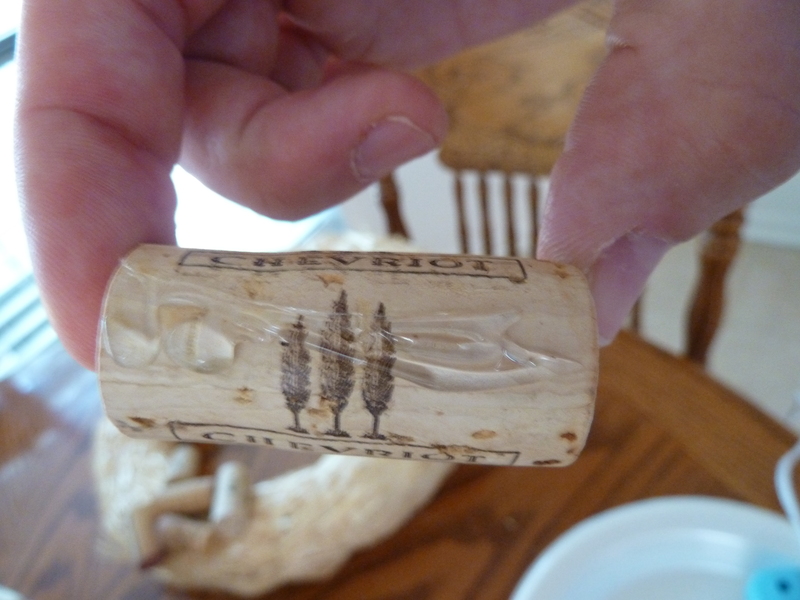 I must do this too…..good to know about yellowtail cork too majority of my corks are that brand! Love their vino! I think the Gorilla Glue or something similar holds those better. Can’t wait to see your version.